Finding Cedar Park movers you can trust with your valuables is challenging. NextView Moving is a dependable relocation company you can be confident in. We have been in the moving industry for over 23 years and know the best practices to moving and how to deliver your belongings on time. Moving quotes should never depend on anything else then how much you are moving, their weight and volume and how far you are traveling. We are an honest and stable moving company based out of Austin, Texas. What separates NextView Moving from other relocation companies is our promise to providing exceptional moving services to each of our clients. It is crucial to us that your moving experience is positive and as anxiety-free as possible. If you are looking to reorganize your home or business, our cedar park movers will surpass your expectations. NextView Moving is here to achieve all of your moving needs for any occasion. We will stay within your financial plan and reshuffle any room at your convenience. Our cedar park movers are experienced in relocating items that are fragile or dangerous to move such as large music instruments, expensive artwork, delicate sculptures, trophy cases or any other specialty piece of furniture. We have the competence to plan your move and pack and unpack your items in a time efficient manner. Our moving trucks are kept in excellent condition. This provides each of our clients with a safe transport of all of their belongings which is crucial for all types of move. Whether you are moving across the state or down the street, have a short time to relocate or months to plan your move, NextView Moving is the best-moving company in the area. With our top cedar park movers, your move will be done right the first time. 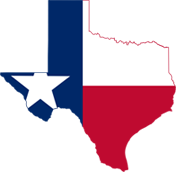 We offer excellent moving services and safe storage for the state of Texas. Contact us and let our movers take care of the rest.